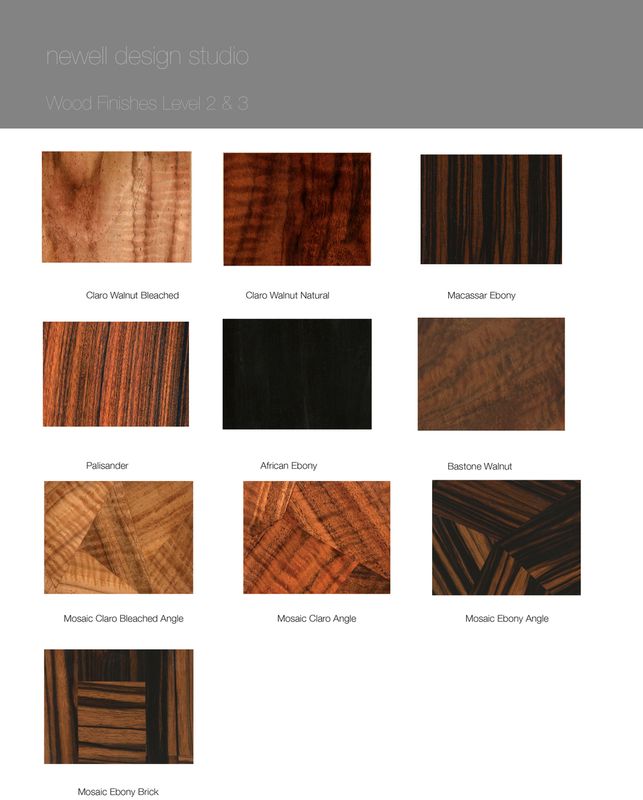 our wood finishes use the finest select hardwoods available. THey are finished in a multi step process and topcoated with a waterborne 2k urethane that exceeds industry standards for hardness and chemical resistance. Properly cared for they will last for years. Due to the fact that wood is a natural material and our finishes are applied by hand by artisans, variances will occur and are even celebrated. samples are available upon request.